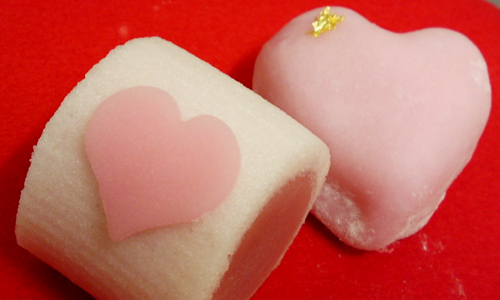 Unlike western countries, Japanese “Valentine’s Day” was introduced by a chocolate company. The Japanese custom is unique. Only women give chocolates to loved one to show their love, not to women from men. Also, it is popular to give chocolates to male co-workers when the day falls on their working day. The Valentine’s Day in Japan is the day when people show their love and appreciation. In any case, due to the successful campaigns, Japanese chocolate companies make half their annual sales during this time of the year. Nowadays, other industries are taking an advantage of it. Wagashi (Traditional Japanese sweets) is one of them. The concept of Wagashi places an importance on season. So why not? 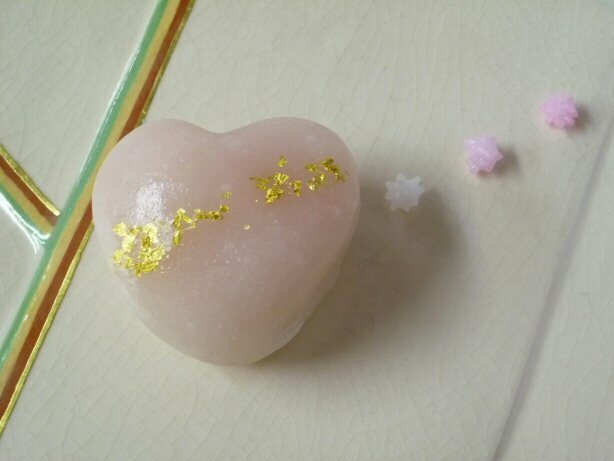 Not that popular yet, but we see more “Valentine-ish” Wagashi here and there these days. It could be a special Valentine’s gift to your special.